Listen up legends, winter is coming to the Border which is a perfectly good reason to throw a party, right? Say g’day to the chilly weather in style at our Welcome to Winter party. First things first, yes, there will be a snow machine & prizes for best dressed, so get the outfits ready in plenty of time. If that isn’t enough, there will also be major giveaways all night long so you’ll get a chance to score yourself some gnarly winter clothing giveaways. We’re talking epic threads from legends at Salomon Snowboards, Nikita clothing & Sessions. 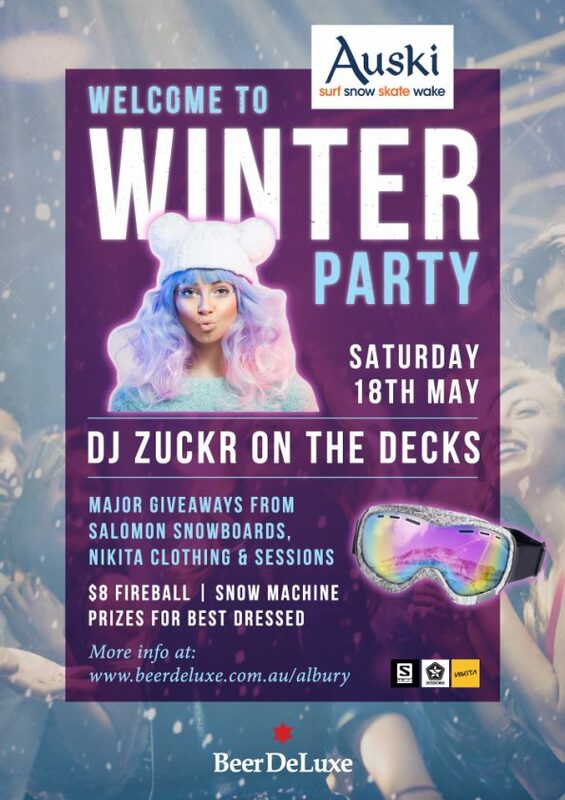 DJ Zuckr will be spinning tunes on the decks ’til late & get around the $8 shots of fireball to warm yourself up. This will be cool as ice, don’t miss out.